St. Thomas Eagles quarterback Michael Keating scores a touchdown in the Eagles’ dramatic 42-35 victory over Strake Jesuit before 10,000 fans at NRG Stadium. The victory marked the second straight year that St. Thomas had scored the winning touchdown over Strake Jesuit on its final offensive play of the game. As the regular season winds down this month in football, the early-season St. Thomas vs. Strake Jesuit matchup certainly has to get strong consideration as one of the so-called games of the year. Before a crowd of over 10,000 fans at NRG Stadium, St. Thomas pulled out a thrilling 42-35 victory over the long-time rival Crusaders. Leading the way for the Eagles’ victory was senior quarterback Michael Keating, who completed 20 of 26 passes for 275 yards and three touchdowns, including a game-winning, six-yard touchdown pass to Drew Guidroz with only six seconds left in the game. Amazingly enough, it also marked the second straight year in which Keating threw the game-winning touchdown against Strake Jesuit on the Eagles’ final offensive play of the game. 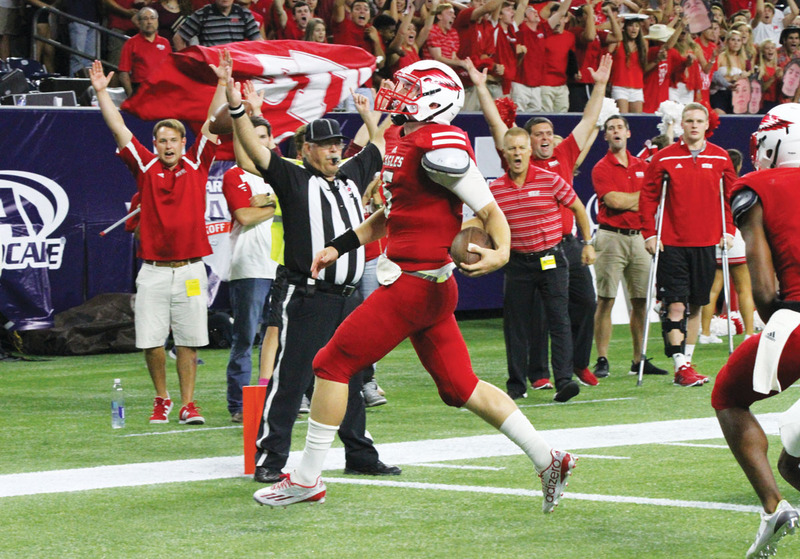 In the wake of his heroics, Keating would also be named the Texas High School Football Private School Player of the Week. Episcopal Knights quarterback Preston Heard led his team to a dramatic 28-21 victory over the rival St. Thomas Eagles earlier this season. Heard completed 20 of 30 passes for four touchdowns in the win. Keeping with the game-of-the-year theme, two weeks after that St. Thomas win over Strake Jesuit, it was the Episcopal Knights’ 28-21 victory over St. Thomas that also has to go down as one of the most exciting and memorable games of the football season. 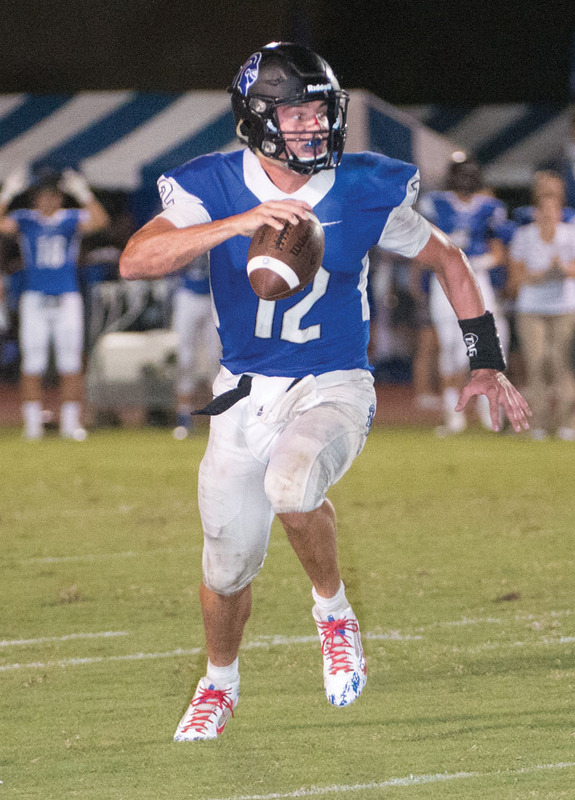 The game itself went right down to the wire, with Episcopal quarterback Preston Heard connecting on a 39-yard touchdown pass to Zach Bowman with just over one minute remaining to give Episcopal the dramatic victory. The touchdown pass capped off a brilliant night for Heard, who completed 20 of 30 passes for four touchdowns. “It was an unbelievable night for our entire team,” said Heard. “I’ve never had that feeling before in my life. It was a big game, and even bigger fourth-quarter comeback. We kind of had a chip on our shoulder because they got us last year, but we weren’t going to let that happen this time around.” For his performance, Heard would be honored as the Texas High School Football Private School Player of the Week. It was sheer jubilation for the Strake Jesuit Crusaders following their dramatic 50-49 come-from-behind win over Morton Ranch. Strake Jesuit scored a touchdown and then a 2-point conversion with one second left in the game. 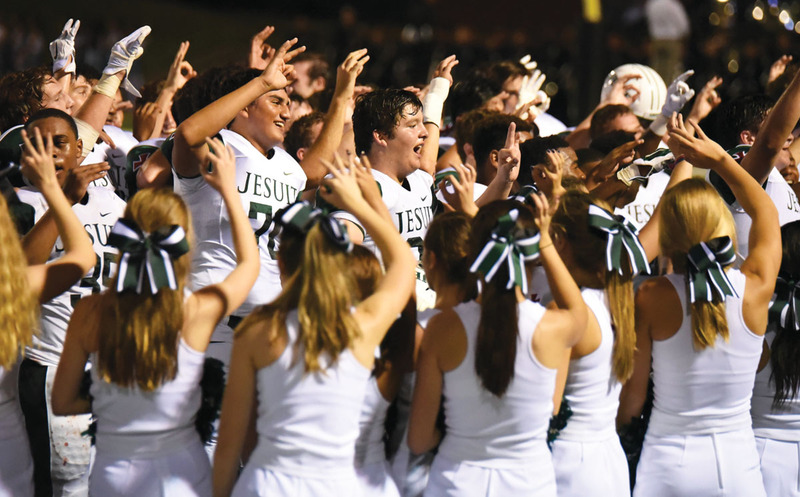 One week later, it was the Strake Jesuit Crusaders who certainly made a case for game-of-the-year consideration in the wake of an incredible 50-49 comeback victory over Katy Morton Ranch. The underdog Crusaders, who trailed 21-0 at one point, scored on a 14-yard touchdown pass from Zach Zubia to Christian Charbonnet with one second left in the game to pull within one, making the score 49-48. 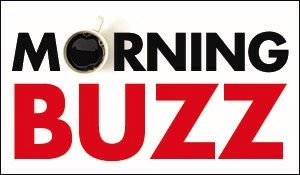 The winning touchdown also capped off a magnificent night for Zubia, who threw for 365 yards and four touchdowns, and as previously was the case with his quarterback counterparts at St. Thomas and Episcopal, Zubia himself earned the prestigious honor as the state’s Private School Player of the Week.